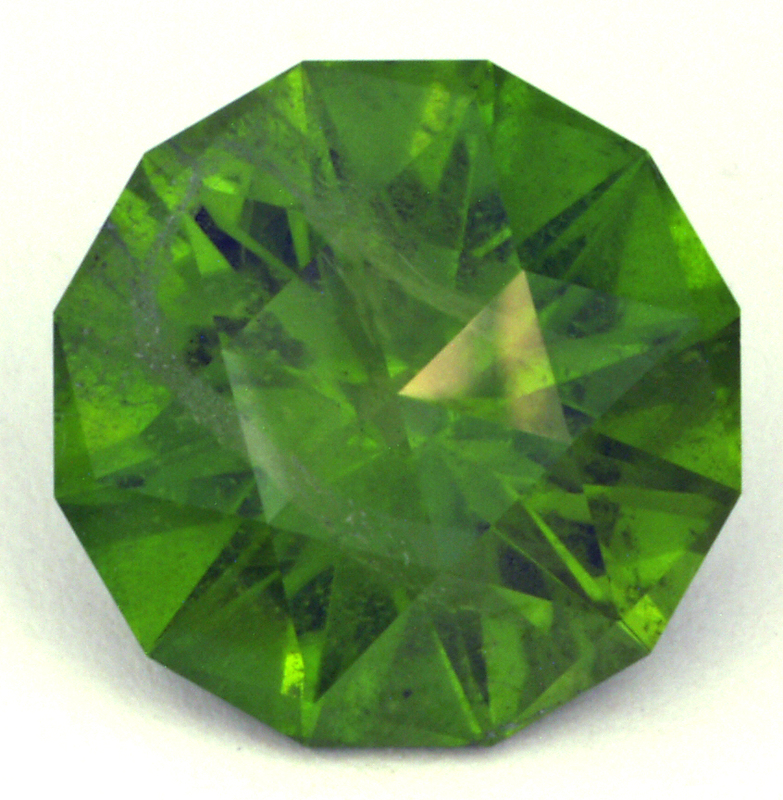 Unusually large Peridot from Pakistan cut in a checkerboard crown design by Fred Van Sant. This stone is a whopping 15.2 mm across - comparable to a nickel. Add a huge green sparkle to your wardrobe today!